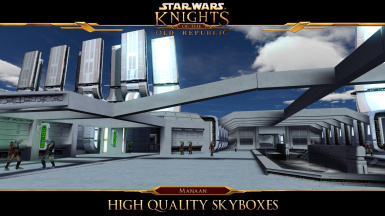 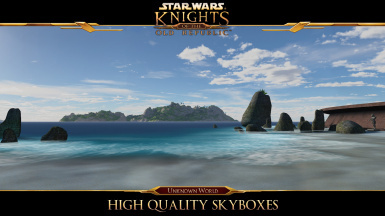 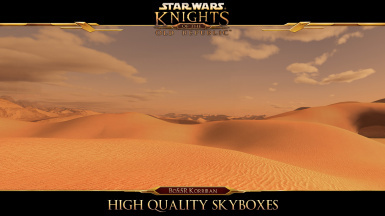 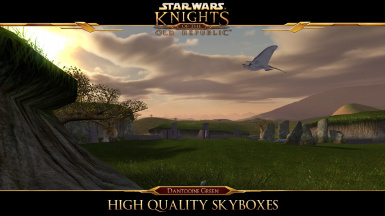 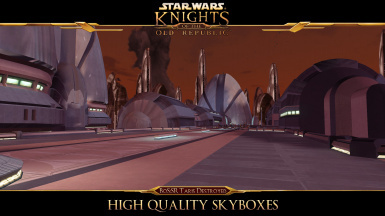 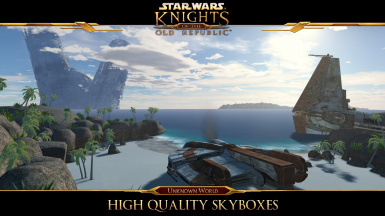 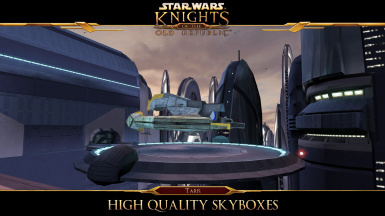 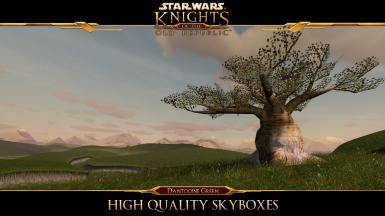 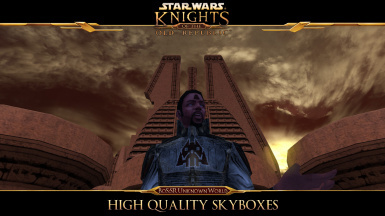 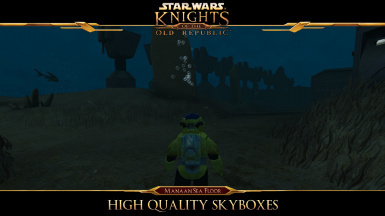 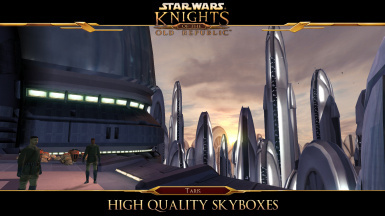 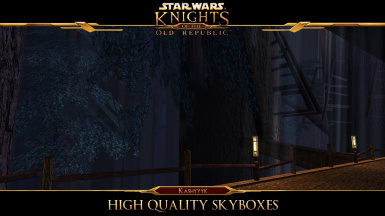 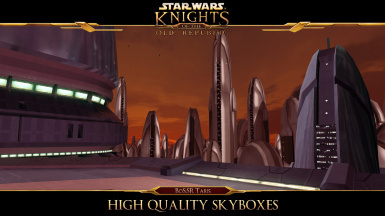 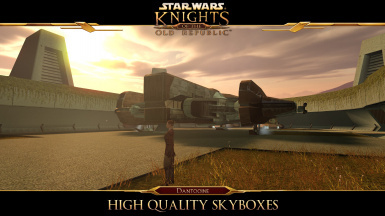 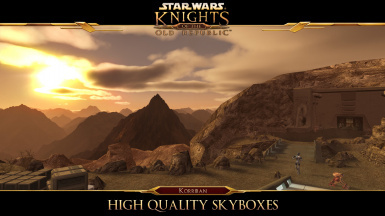 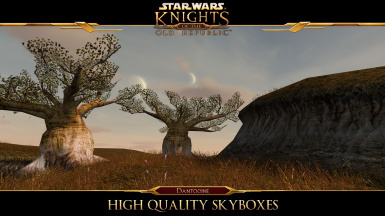 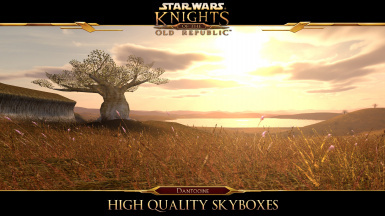 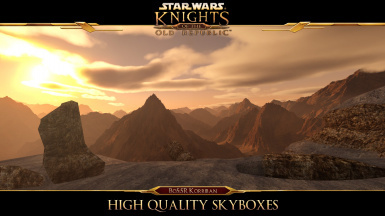 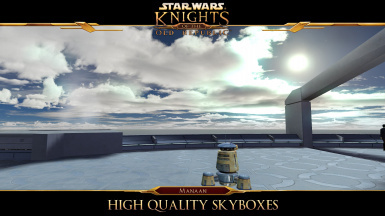 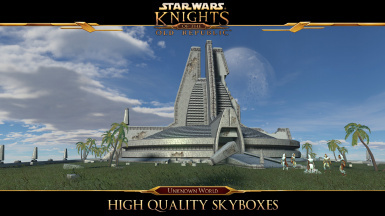 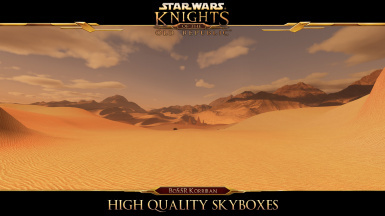 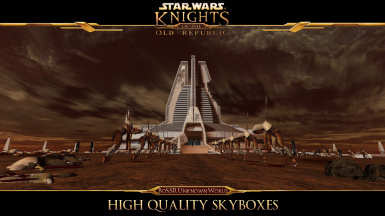 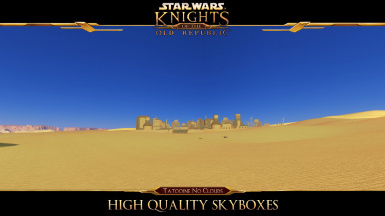 HQSkyboxes.rar: This is the main file that includes every skybox and backdrop I made for the vanilla game. 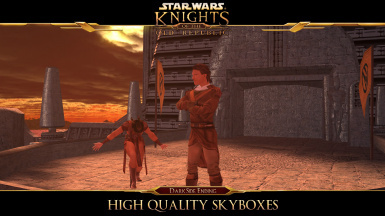 Save them both in the same directory on your system and open part1. 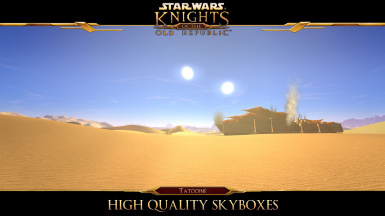 WinRar will automatically extract them both. 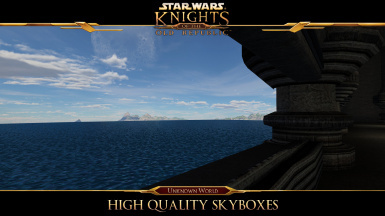 Optional_BoSSR.rar: This is an AddOn to be used with Brotherhood of Shadows: Solomons Revenge and includes ever skybox introduced by said mod. 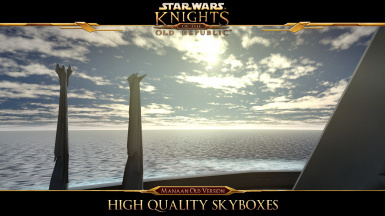 Note the installation instructions! 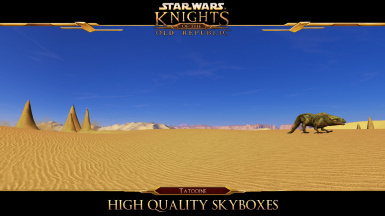 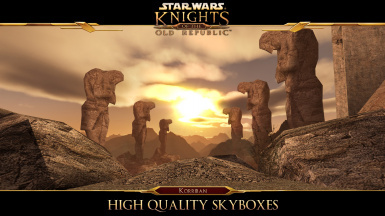 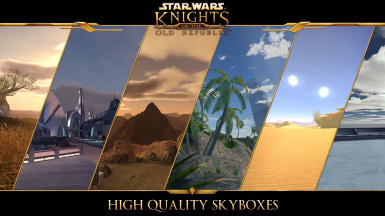 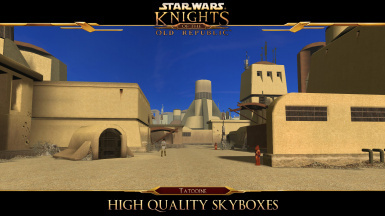 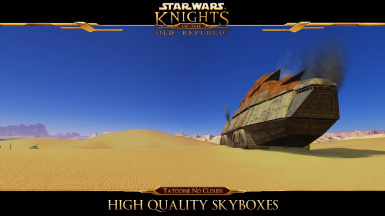 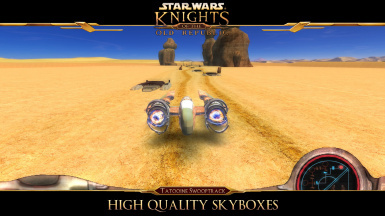 Optional_TatooineClouds.rar: This AddOn removes the clouds from my Tatooine skyboxes bringing them closer to their vanilla appearance.